Unseen for over fifty years, this exceptionally rare feature sees comedy legend Norman Wisdom at his best playing a naïve explosives expert who finds himself involved with a criminal gang after uncovering nefarious dealings by a prominent industrialist! There Was a Crooked Man is featured in a brand-new High Definition transfer taken from the best available film elements. Hailed as one of Wisdom's finest films, it was one of two features he made independently, and marked a departure from his more familiar and endlessly popular comic creation, 'the Gump'. 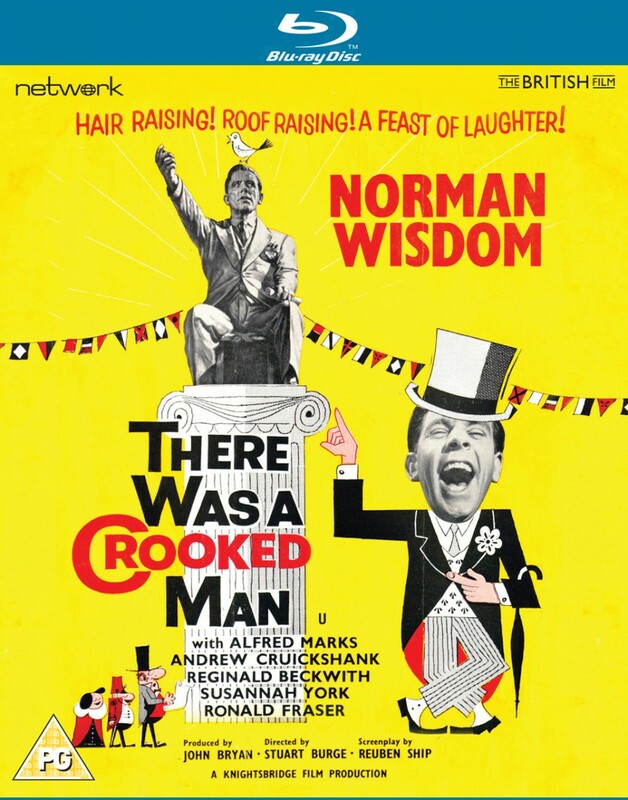 Co-starring Alfred Marks and Susannah York, There Was a Crooked Man was directed by the BAFTA-nominated Stuart Burge.